Finally! A paleo bread that tastes and can be used like “real” bread. I am overjoyed — truly! I have not had much luck making bread products (although the rosemary biscuits I made came pretty close). I am so excited to share this recipe with you. I made one loaf and have already made sandwiches for lunch and toast for breakfast. Oh boy oh boy! Bread! In addition, I was reading about the benefits of a couple of the ingredients that are used, i.e. arrowroot powder and flaxseed meal. There are a few links I gathered below on that topic so you can do some reading on your own. I must warn you — my picture did not come out the best but don’t let that deter you from trying this recipe. 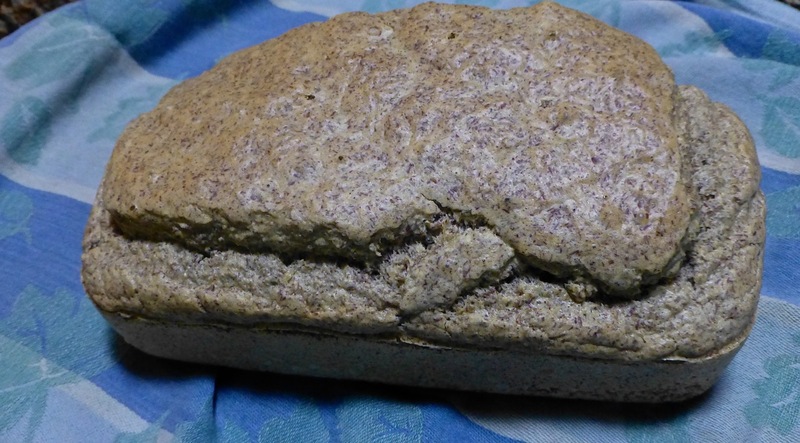 You will enjoy this gluten and grain free bread as much as I did. You’ll be mixing the ingredients all together. And you’ll get this wonderful loaf! Ready to try this recipe? No, no, you don’t have to thank me for finding it for you. 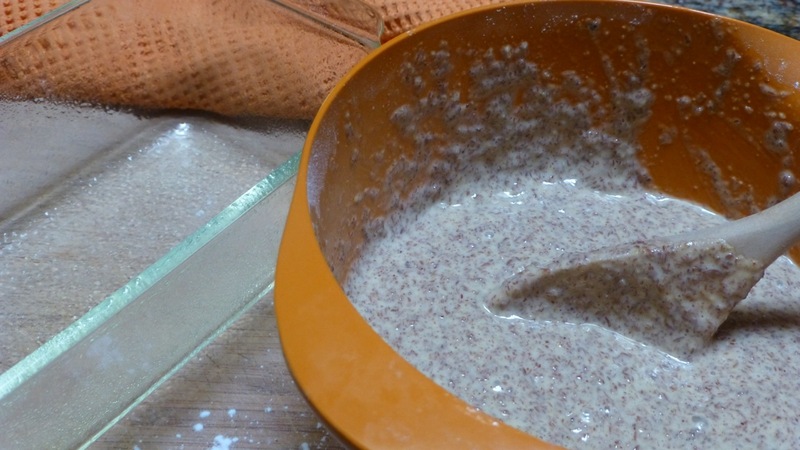 Combine all the dry ingredients in a bowl then use a whisk to blend them together. 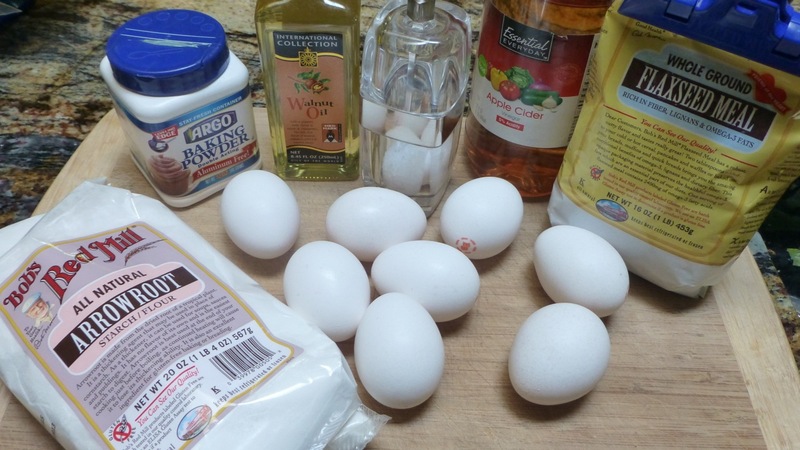 Combine all the wet ingredients and whisk them together to blend them also. Then add the wet ingredients to the dry ingredients and blend it all together. Spray the bread loaf pan down with the oil. Bake for 30-35 minutes or until a toothpick inserted in the middle of the bread comes out clean. You can also make muffins with these although I haven’t tried that yet. The directions for the muffins would be to bake 20-25 minutes then remove them from the oven when a toothpick inserted in the middle of one of them comes out clean. The ideas for variations on this bread are endless. Perhaps I’ll try using cinnamon and raisins one day. Hope you enjoy it as much as I did. And a special thank you to Meghan at Paleo Effect for this recipe. You are a gem!